Sacsayhuaman is located at an elevation of more than 12,000 feet in the northern outskirts of the city of Cuzco, Peru. There, the immense stone walls are believed to hold secrets which predate the Inca themselves. 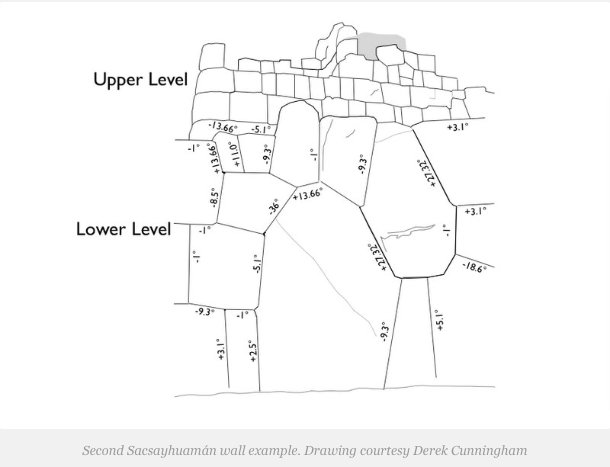 Surface collections and analysis of pottery at Sacsayhuaman indicate that the earliest occupation of the hill-top dates back at least a millennium, making it one of the oldest ancient establishments on the planet. According to recent studies, archaeologists state that the Killke culture built the older sections of the site approximately 1,000 years ago, but there are numerous mysteries surrounding this incredible fortress that has baffled archaeology and history ever since its discovery. The ceremonial fortress of Sacsayhuaman stands out because of its walls formed by eccentric angles cut and adjusted with such precision that engineers and builders today have a very difficult time replicating it. 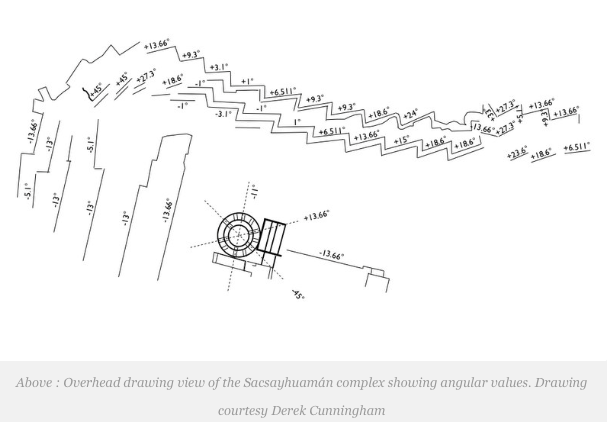 According to his theory, the astronomical values ​​considered as central to predict eclipses are converted into “angular values.” In total, Dr. Cunningham has identified nine standards in ancient drawings of various cultures around the world and occasionally other secondary values ​​observed in regional art. Now, he claims to have discovered evidence which points toward these same values ​​and their presence in the construction of the walls of Sacsayhuaman. The real period of the orbit of the Moon by reference to the fixed stars is called sidereal month: The period of the Moon’s orbit as defined with respect to the celestial sphere (of the fixed stars, nowadays the International Celestial Reference Frame (ICRF)) is known as a sidereal month because it is the time it takes the Moon to return to a given position among the stars (Latin: sidera): 27.321661 days (27 d 7 h 43 min 11.5 s). This type of month has been observed among cultures in the Middle East, India, and China in the following way: they divided the sky into 27 or 28 lunar mansions, one for each day of the month, identified by the prominent star(s) in them. With this, astronomers can easily calculate that the Earth moves about 1 degree by day around the sun, and with more detailed observations, researchers are able to deduct a season of eclipses every 6.511draconic months. Because the moon’s orbit is inclined with respect to the ecliptic, the sun, moon, and earth are in line only when the moon is at one of the nodes. Whenever this happens a solar or lunar eclipse is possible. The name “Draconic” refers to a mythical dragon, said to live in the nodes and eat the sun or moon during an eclipse. Other important parameters for predicting eclipses is the angle of inclination of the lunar orbit and nutation (Nutation is a rocking, swaying, or nodding motion in the axis of rotation of a largely axially symmetric object, such as a gyroscope or the Earth). The value of 11 degrees can be found in many neolithic monuments and artifacts, a number that corresponds to the difference between a solar year and one lunar year. Interestingly, all of these astronomical values ​​have been translated by the Incas or even possibly Pre-Incas and other cultures into angular values and have been incorporated into their constructions. I honestly do not care whether I am right or wrong about this,” he concludes. “All I have found so far is that the data is what it is. The potential of the idea to explain some things about so many sites from the pyramids of Egypt to the Atacama Giant in Chile is obviously very controversial, and it should be. But if correct, it could rewrite some aspects of our understanding of not only the Stone Age but also world history. If,on the other hand, scholars prove this specific astronomical theory wrong, then we can move on, knowing that it has been sufficiently tested. 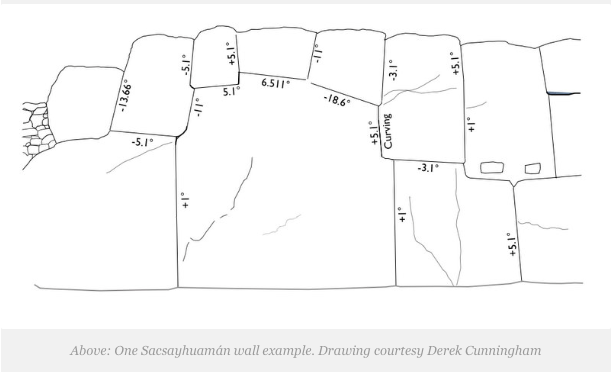 What is most intriguing is that a complete new window may have been opened into the past.”says Dr. Cunningham in an article in Popular Archaeology.